The default support for parameterized tests is one of the greatest weaknesses of JUnit. The situation improved some time ago when JUnit Params was released. 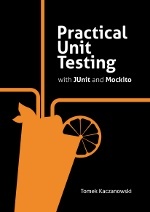 Today I would like to present another very interesting tool which makes writing parameterized tests for JUnit a much nicer experience. Ladies and gentlemen, I bring you Zohhak! Who is better suited to present Zohhak to the masses than its creator, Piotr Turski? Let me ask him few questions about this project. Hello Piotr, could you say few words about yourself? Please introduce Zohhak. What is it good for, what problems does it solve? Zohhak aims to simplify parameterization of JUnit. Existing solutions are too verbose (and therefore unreadable) or too weak. I tried to create something in the middle. As any other parameterization framework: it allows you to run same test method with many different parameters. What may be unique: you can do it without polluting your tests with tedious code that builds those parameters. and you can use parameters of any type. And the name? Where does "Zohhak" name come from? Why zohhak? For the same reason that lombok, java, ganymede or apache. How does Zohhak differs from competition - i.e. 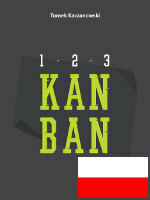 JUnit Params? JunitParams was my inspiration. Paweł Lipiński (the author) had a great idea. He made parameterized tests very clean and readable. the problem is extensibility. On the other hand there is this @Parameters annotation of JUnit. It provides all the flexibility you need. But the code gets cluttered with boilerplate stuff. 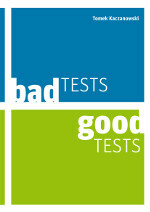 After all, tests should be the cleanest documentation. parameters should have short human readable string representation. I don't think zohhak competes with any of mentioned products. each of them has features that zohhak has not. Why do you think parameterized tests are so important? What do you use them for? Tthe most common answer to that question is that "they let you write less". And of course it's true. However i believe the more important is: they let you read less. What are your plans regarding Zohhak? Is there already some community around it? Community? Of course, huge! There is me, myself and i. Cmon! The project was released like one weak ago. I'm also waiting for community's feedback - there is no point in developing product used by no one. That's the reason why i decided to release it in such an early stage. 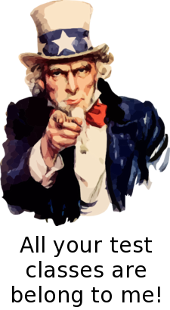 I'm also looking for some public CI, gerrit and sonar hosting for zohhak. It's my first open source, i'm a newbie in that area. add 'partial' coercion. It would be nice to allow to write sth like <2.3, 3.5i> and then write coercion to complex number from two doubles instead of from one string. But this one is just an idea, i still have no clear concept for it. Piotr, thank you very much for this interview! And good luck with Zohhak development! Submitted by Anonymous on Thu, 12/13/2012 - 22:23. You should check out FuzzTester it does what you want plus more. Name of this very nice library? Submitted by Anonymous on Wed, 12/12/2012 - 13:49. Lombok is after red pepper (spice Java). Java is a blend of coffee. Apache is an Indian tribe (American Indians, or, as they call them native Americans). And the name came to be from "a patchy" server, since Apache started as patches to other project. Ganymede is a moon and if it's the Eclipse one - the name is a series of astronomical names. How Zohhak fits here? Or is it a roundabout way of saying "just because I liked the sound"? Submitted by Anonymous on Wed, 12/12/2012 - 16:24.
following http://en.wikipedia.org/wiki/Zahhak it's "a monster with ... three heads"
Submitted by Tomek Kaczanowski on Wed, 12/12/2012 - 15:31.
unfortunately I can't help you. Zohhak name is a mystery to me as well. I will ask Piotr and if he reveals it, I will put the answer here so all can learn about it.